So we came up with the idea to give them a social space with interesting content, to engage with potential customers – start talking to tomorrow’s home buyers. We’re not talking letter-box drops of DL fliers here, but a real way to engage with people and to get them coming back for more. The game allows you to buy, sell and manage properties of your choice. 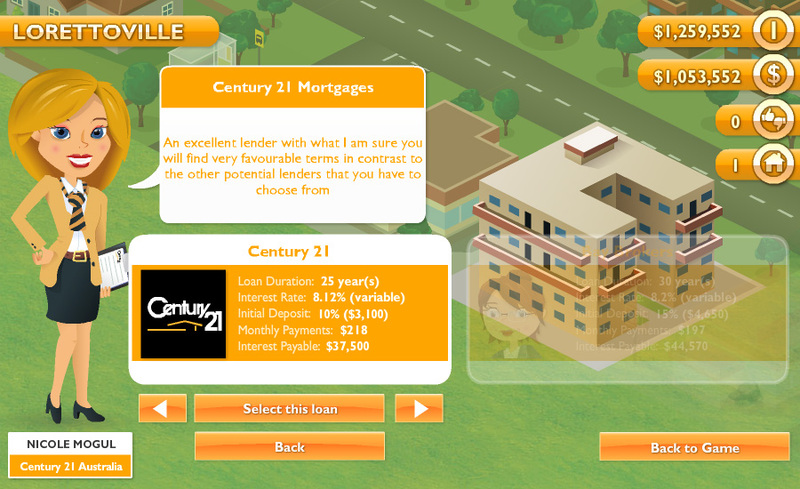 Property Mogul allows you to build your property empire with the help of virtual agents from your local Century 21 office. Property Mogul gives you the opportunity to purchase properties in wealthy beachside and middleclass suburbs, along with outer rural suburbs. Your property can increase or decrease in value depending on whether you choose to renovate your property or not, which ultimately affects your net worth. The game allows you to release your inner Property Mogul, compete with friends and build your property empire! A great aspect of the game allows you to connect Property Mogul with your social networks; you are able to post achievements and awards on social networking sites such as Facebook and Twitter. The more people you share with through social media, the higher your ranking on the overall top performers leader board. At the time of posting this case study, the Australian game has seen over 2.5 trillion in property transactions. 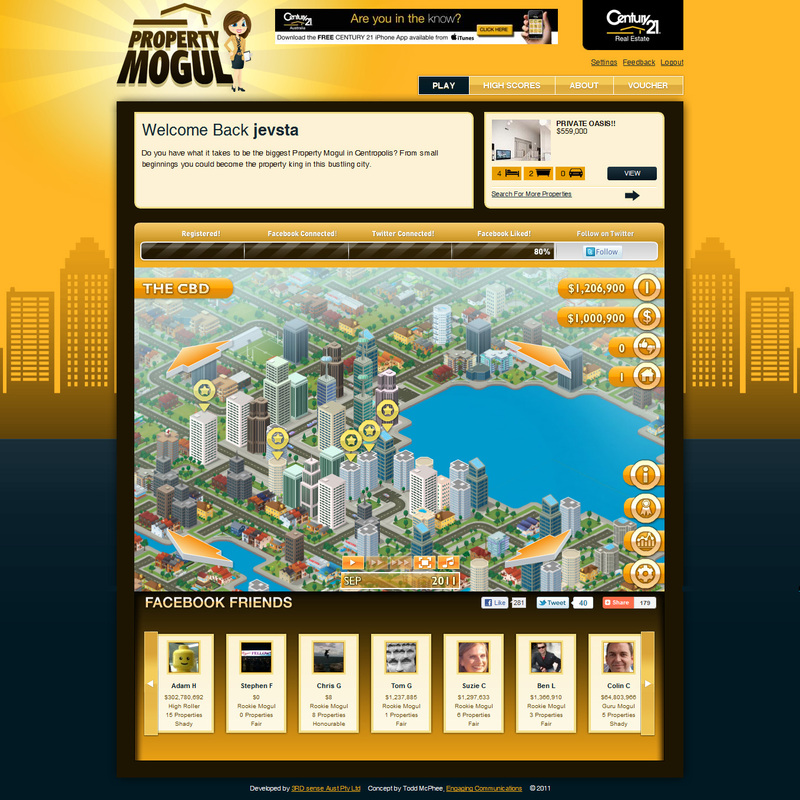 We have also built a game for the Canadian market, and soon to launch Property Mogul USA!